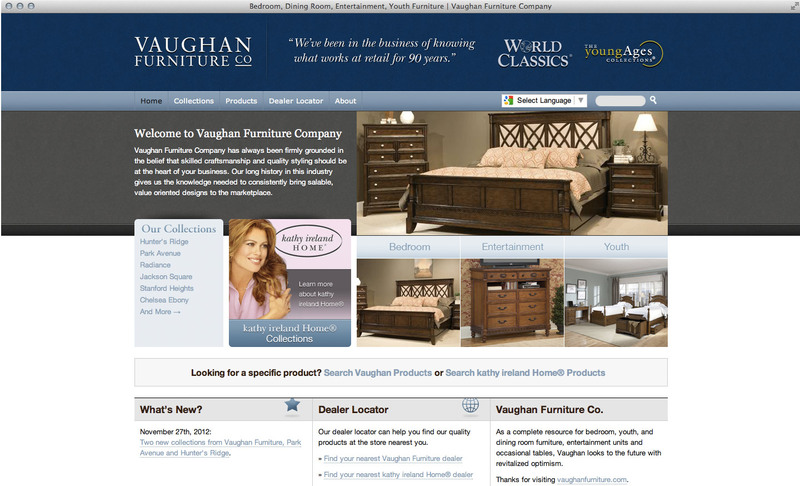 Front-end design for vaughanfurniture.com. Full DNN skin developed and deployed on DotNetNuke platform, launched in 2009. The site has barely changed since then, aside from product updates and a dedicated sales representative portal.